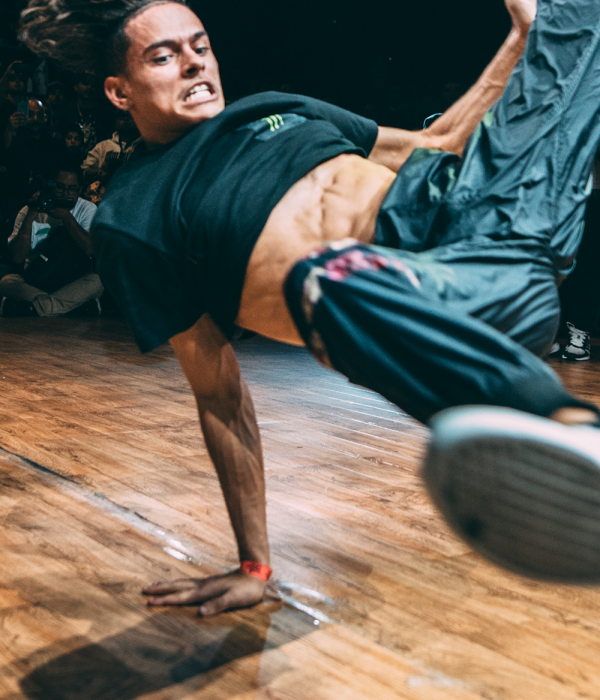 Freestyle Session is one the world’s most important breaking (break-dance) events. Originating in California in 1997, Freestyle Session pits the world’s top breakers against each other in a battle of skills, dexterity and unbridled creativity. Adelaide Dance Festival is proud to host the 2018 Australian qualifying event where Australia’s top crews will compete head-to-head, the winner being flown to the finals in Los Angeles later this year. These phenomenal dancers possess truly jaw-dropping skills. Come and check out the raw, creative energy of Australia’s best — right here in Adelaide for this one unmissable event. Australia’s best breakers battle it out for a place in the LA finals.